Eyes are masterpieces, set them free. cTen™ (customized Trans-epithelial No-touch) is a customized surgical procedure conceived to remove, in one single step, by means of the excimer laser, only the fraction of epithelium and stroma needed to optimise the quality of vision of the patient. The epithelial healing process normally requires from two to three days. This smooth process allows for the execution of a fully automated No-Touch laser procedure, free from any intraoperative risk and not requiring any eye manipulation. 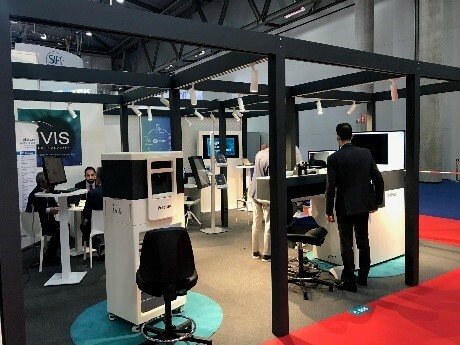 Optimizing the quality of vision, minimising invasiveness of the treatment and avoiding surgical complications, drove iVis Technologies to initiate its R&D program. Our researchers developed the cTen™ procedure (Customized Transepithelial No-Touch), a safer, more effective and less invasive surgical technique. Aslanides lM, Tsiklis NS, Ozkilic E, Coskunseven E, Pallikaris lG, Jankov MR. The effect of topical apraclonidine on subconjunctival hemorrhage and flap adherence in LASIK patients J Refract Surg. 2006 Jun;22(6):585 8. Mi, et al. Adhesion of laser in situ keratomileusis like flaps in the cornea: Effects of crosslinking, stromal fibroblasts, and cytokine treatment. J Cataract Refract Surg. 2011 Jan;37(1):166 72. Canto AP,Vaddavalli PK, Yoo SH, Culbertson WW, Belmont SC. J Protective effect of LASIK flap in penetrating keratoplasty following blunt trauma. Cataract Refract Surg. 2011 Dec;37(12):2211 3. O'Brart, et al. Laser epithelial keratomileusis for the correction of hyperopia using a 7.0 mm optical zone with the Schwind ESIRIS laser. J Refract Surg. 2007 Apr;23(4):343 54. Landau, et al. Traumatic corneal flap dislocation one to six years after LASIK in nine eyes with a favorable outcome. J Refract Surg. 2006 Nov;22(9):884 9. Smadja D, Reggiani Mello G, Santhiago MR, Krueger RR. “Wavefront ablation profiles in refractive surgery: description, results, and limitations″. Journal of Refractive Surgery. 2012 Mar; 28(3): 224 32. LASIK surgery (Laser-Assisted in situ Keratomileusis) is a two step procedure. Its first surgical step to be executed by the Surgeon is the execution of an intrastromal cut onto the eye’s cornea, using a microkeratome or a femtosecond laser, to create a permanent corneal flap. Once the cut has been performed, the flap is lifted, and the stroma is photo-ablated with an excimer laser. Finally, the flap is in-situ repositioned. It is a quite lengthy procedure requiring surgical manipulations and some intraoperative risks. Overcorrection or undercorrection may be an unexpected outcome of LASIK. Different patients may present different responses to the laser ablation, therefore unexpected overcorrection or undercorrection may occur. The first step of every LASIK surgery is the creation of the corneal flap that itself can be the cause of some complications and undesired side effects. Furthermore, the stromal interface may facilitate the insurgence of an inflammatory process called Lamellar Keratitis. (5) (11) (12) Similarly, it may host infections. (9) (15) (16) The solution to these complications may require cleaning the interface, with lifting and repositioning of the flap. Ectasia is a very dangerous complication that may lead, at worst, to corneal transplant. After LASIK, patients often report dry eyes. This side-effect occurs immediately after the surgery and may endure for several years after treatment. Dry eyes, causing pain and scratchiness, are the most common LASIK complication. (16) (17) Unfortunately, it has been scientifically demonstrated that dry eyes can also decrease visual acuity. Halos generate a blurry stripe around the edge of an object, while starbursts are light rays that depart radially while looking at light sources at night, for example during night driving. Ghosting occurs when multiple images, or ghost images, are visible. Ghosting may present itself both, at daytime as well as at night. Blurry vision, that manifests itself like “out of focus″ vision in all lighting conditions, often will appear more severely in dim light. Sometimes, images will only smear in a preferential direction. PRK (Photo Refractive Keratectomy )has been the first generation of laser vision correction. It is a surface ablation surgery executed in two steps. In the first surgical step the Surgeon removes a large area of the corneal epithelium by means of blades, scrubs, alcohol and/or different media. Once the epithelium has been removed, the stroma is photo-ablated with an excimer laser. The epithelial healing process normally requires from three to five days. It is a quite lengthy procedure requiring surgical manipulations and some intraoperative risks. PRK can treat nearsightedness, farsightedness, and astigmatism. PRK procedure requires the Surgeon to remove the corneal epithelium, thus inducing possible complications as stromal strias caused by the media used to remove it. Postoperative vision may fluctuate until complete stabilization that generally occurs within 30 days after surgery. Some patients, because of healing may experience, rarely, clouded vision to some degree, often referred to as haze. In these cases, haze normally clears within 12 months, with the help of some eyedrops prescribed by your Ophthalmologist. Haze is often linked to UV exposures, for example sunbathing. Therefore, it is recommended to avoid direct sunlight exposure for a minimum of six months after your cTen™ treatment and to wear sunglasses with a total UV-filter. Other rare visual complications may include halos, a shimmering circle around light sources such as car headlights, glare or increased sensitivity to bright light, and/or double vision (diplopia), described as “ghosting” around an object. SMILE (Small Incision Lenticule Extraction)is a surgical procedure derived from LASIK and, like LASIK, is executed inside the stroma. While in LASIK a single cut is performed to prepare the cornea for the excimer ablation, SMILE procedure requires two distinct cuts in order to create a lenticule of stromal tissue, shaped according to the needed correction, which must be manually removed by the Surgeon. It is a quite lengthy procedure requiring surgical manipulations and some intraoperative risks. SMILE is meant to treat nearsightedness and astigmatism. Overcorrection or undercorrection may be an unexpected outcome of the SMILE procedure. Different patients may present different responses to the laser ablation, therefore unexpected overcorrection or undercorrection may occur. SMILE procedure does not allow retreatments of previously surgically induced overcorrection, undercorrection and/or irregular aberration. The first step of every LASIK SMILE surgery is the creation of the intrastromal lenticule to be removedcorneal flap that itself can be the cause of some complications and undesired side effects. A possible serious complication is the accidental suction loss during the intrastromal cut, which may generate an irregular cut. In such a case a different surgical strategy must be pursued. Furthermore, the stromal interface may facilitate the insurgence of an inflammatory process called Lamellar Keratitis. (5) (11) (12) Similarly, it may host infections. (9) (15) (16) The solution to these complications may require cleaning the interface, with lifting and repositioning of the flap. [less…. ]a further surgical intervention that cannot be performed using SMILE procedure. As the cornea will lose structural strength permanently, due to the LASIK flapthe intrastromale lenticule removal, a possible complication called Ectasia may develop. Ectasia is a deformation or bulging of the cornea, often progressive, with a consequent insurgence of myopia and deterioration of the quality of vision. After LASIKSMILE, patients often report dry eyes. This side-effect occurs immediately after the surgery and may endure for several years after treatment. Dry eyes, causing often cause pain and scratchiness, are the most common LASIK complication. (16) (17) Unfortunately, it has been scientifically demonstrated that dry eyesand can also decrease visual acuity. If you landed on this website, maybe you are considering refractive surgery. Certainly, we all appreciate the freedom of a life without glasses and contact lenses, being free to enjoy with friends and family your free time and sport activities or improving your working condition. 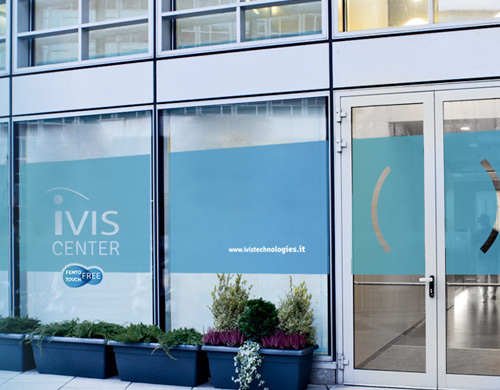 The iVis Centers epitomisesophtalmic excellence, specialising in refractive and therapeutic surgery using the latest generation of excimer lasers. They are internationally present in Europe, Africa, Oceania and in Asia soon. Every iVis Center exploits the diagnostic and surgical platform iVis Suite™ together with the exclusive cTen™the Italian cutting edge in refractive surgery; a truly customised, completely no-touch and minimally invasive solution to correct refractive disorders, among them first of all myopia, hyperopia and astigmatism. To date the iVis Centers have a background of tens of thousands of successfully performed cases, providing true opportunity to dispose of eyeglasses and contact lens forever. 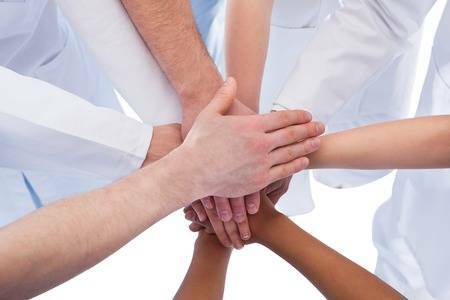 Each iVis Center is an independent reality, but all of them share the common worldwide project of excellence of iVis Technologies, the company leader in custom corneal refractive and therapeutic surgery, who conceived and manufactures the iVis Suite, granting constant and continuous technological update all over the world. 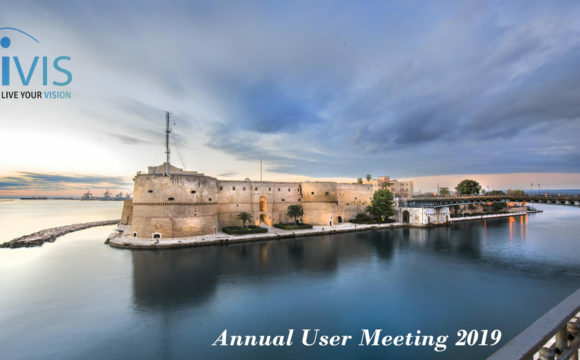 The iVis Centers’ refractive surgeons continuously share their own experiences by means of the iVerify digital platform, exchanging knowledge, experiences and best practices, actively contributing to the continuous progress of the iVis Suite and its surgical accuracy.